Hello Everyone! 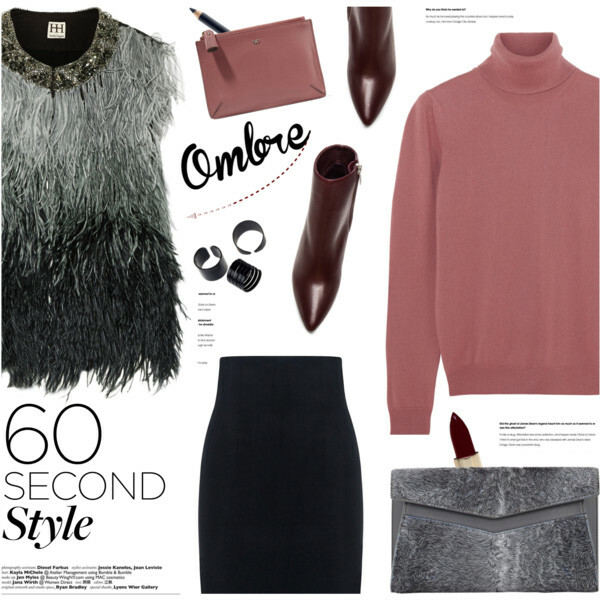 I am here to share with you my favorite ways how to wear jumpers next year. Below are showcased amazing ways how to underline your individuality by adding a stylish jumper into your closet. You are going to be excited to see Polyvore fashion sets featuring many stylish and modern jumpers. The freezing weather won't make you stay at home, as you can copy one of these outfits! There are plenty of jumpers that will make you warm and look stunning at the same time. Why don't you make jumpers your best friends? Update your closet with these cozy tops that will make you glow! I have selected my favorite jumper looks you can copy right now, so you better check them out and get inspired! Cardigan jumper in dark grey is worn atop light grey-white sleeveless T-dress. 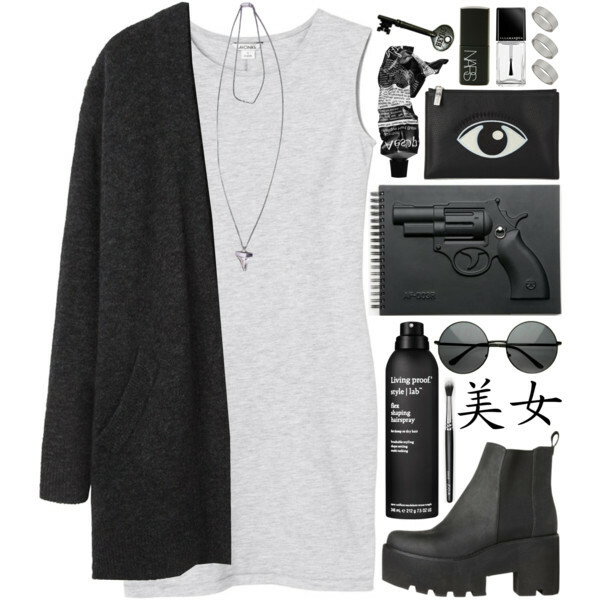 Complete this outfit by adding chunky platform Chelsea boots. Today we are about to observe stunning Polyvore sets you all can try on next Autumn 2018. This is a comprehensive guide through fall fashion trends, featuring all major must-haves, including velvet pieces, bright prints, military chic essentials, bubble gum pink hues, cozy knits, pleats, etc. There are countless of incredible outfits you all can create this year. I am pretty sure this article comes with everything you need to know about must-haves for next Fall. Scroll down to see all key items to wear during 2017 chilly days. We see a stylish cream-grey colored biker inspired bulky coat with zip details. Try it on with black leggings, peep-toe cream-beige ankle boots and black leather structured handbag. Fashion trends come and go, but in today's blog post I am going to talk about this 2018 year's Spring time. I want to share with you some of the best outfit ideas you can recreate with ease. Sure, the most popular clothes are the ones with floral prints, lightweight silhouettes and loose knits, but there are still some interesting details that can make you look different. I am talking about clean lines, breezy layers, maritime references, hipster and boho touches, as well as modern and relaxed essentials. Spring is a good time for wearing natural materials, beautiful accents and something lightweight. Like it or not, but spiritual connections will play a very important role. Anyway, I guess we should give a look through these awesome Polyvore sets to get a great inspiration and select something worth to buy. How cute is this? I think you should go for something more girlish during the spring, that's why I recommend to give a try to this white short frock that can be teamed with cream-beige buttoned cardigan, cute white pumps and blush folder-clutch. 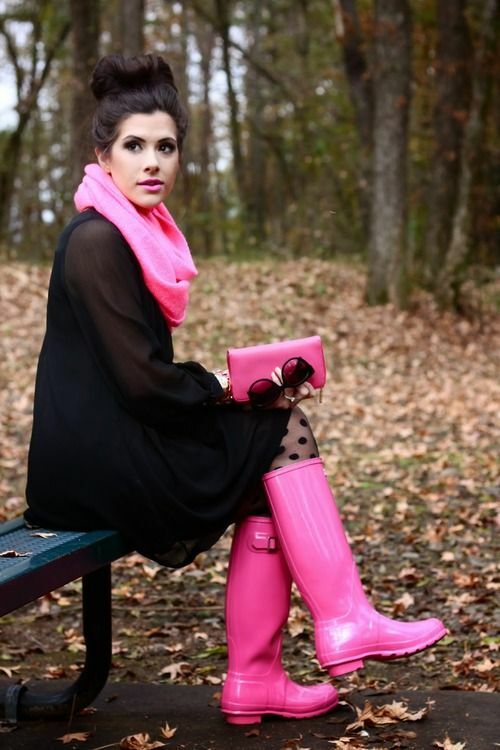 You can always try black semi-sheer dress with your pink essentials. Looks awesome.